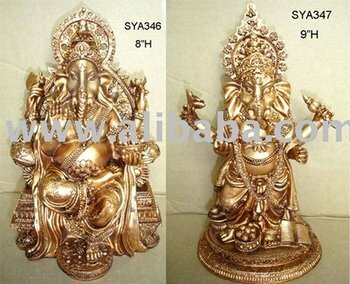 Hindu god statues and fountains are our main products. Till now, we have more than 500 styles hindu god items, from 2" to 40"H.
Polyresin hindu god statues (Indian idol, murtis hindu god) are our main products. Till now, we have more than 500 styles hindu god items, from 2" to 40" high for you to choose. The response from our customers has been very good. Every month we have new items. Because of we have more than 20 sculptors. Who will make you satisfaction and excellence.